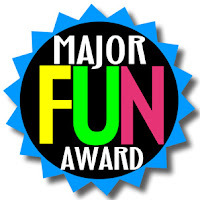 Rebel Mandarin: The Fun Awards! I have already emphasized the importance of getting some proper textbooks and workbooks so enough said on that score. You also have to have a bit of fun built into the equation right? too bloody right I hear you say! steady on now...I'm not talking wild parties or getting drunk out of your mind on an all night binge fests or anything like that, although that would be nice too :) I'm still keeping it strictly focused on the language learning which I'm currently absorbed in at the moment. There is a host of great sites out there at present, some I have looked at in great detail and others I'm sure I have still yet to discover. I'm going to rave on about a a few I've tried recently and which deserve a mention . These entertaining yet educational sites take you away from those tedious yet essential text books and grammar rules for a little while. I will briefly recommend a few good sites that without even thinking about it too hard will improve your Chinese. So while it is a good thing not to get too obsessive about these sites it is also good to visit them every now and then and enjoy the content they have to offer. You become more familiar with sounds and characters after exploring content on these sites and this is always a good thing. ZhongwenMovies started, thanks much to friends and teachers, in 2012 with a guy named Scott Oman. One day, frustrated while studying Chinese, an idea was born to create this entertaining, yet useful, language learning platform dedicated solely to the study and research of Mandarin Chinese - clashing modern and ancient, past with present. ZhongwenMovies is about free education, as well as helping to expose people to interesting things about China, Chinese culture, media and language! They provide a community with quality links to compelling Mandarin programs, free study and cultural materials to advance your Chinese and just make learning fun! FluentU is a new way to learn Chinese through authentic video content like music videos, movie trailers, news, and inspiring talks. With engaging and immersive content, they empower users to learn with fun videos exhibiting the diversity and vibrancy of modern Chinese culture. This is a great site where so much work has been done by the developers. You really have to check it out to appreciate how good it actually is. It even has all the content in video form that I use in my textbook (New Practical Chinese Reader) with English , Pinyin and 汉字, all optional to view when looking at the video of your choice. Quite simply you play songs to learn Chinese characters. Its as simple as that really....well not really. It does take a bit of getting used to but it is really fun when you do. It is still in beta mode so its a bit raw around the edges but I can see this site really taking off. A really innovative way of learning characters. Also, I never really listened to Chinese music before and this has really opened up a whole new genre of music for me. I think this will be major success for its developer. You haven’t heard from me before. I’m the Language Marketing and Publicity Coordinator at Tuttle Publishing. If you have not heard of Tuttle, we have been producing quality language books since 1948 and are a market leader for Chinese language study books. I have identified Rebel Mandarin as a prominent online organization and would like to ask you if you would be willing to review one or more books for us. Language learners truly listen to the opinions of important online personalities, like you. I believe we have some great Mandarin books and would love to hear your opinion. Please let me know what you think. My email address is below. How to learn Chinese better? Chinese is a most difficult language, withou courage you will never succeed!